GXS Gap Crossing Systems is a Dutch quality product, from leading and innovative companies SLAMDAM, RVM and MSS DEFENCE. 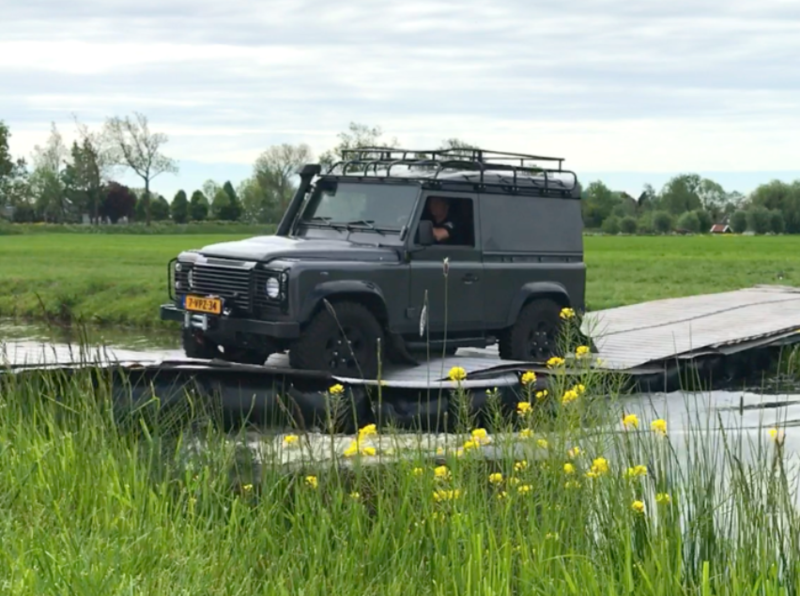 This new to market product has been succesfully demonstrated to Dutch MoD and recently to the Engineers of the Royal Marines (UK) with the first units to be supplied later this year. To learn more you may watch the below 60 seconds video. 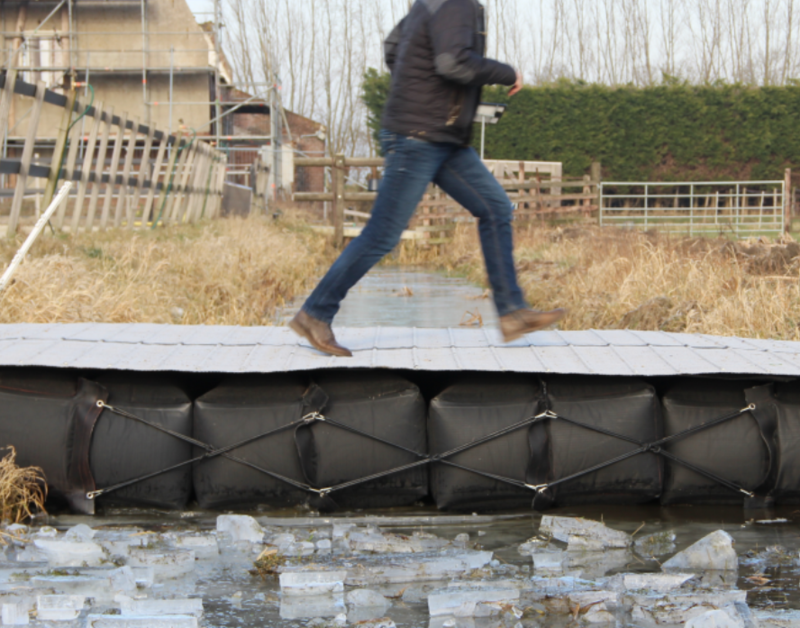 HOT NEWS: The new GXS pontoon element MK2 has just been launched. Virtually indestructable. From heav-duty EPDM material. Best-of-class seaming. Very easy to repair on site. More flotation capacity. With extremely rugged carrying handles that also can be used for upstream anchoring. Quicker to deploy because now with only 1 air-valve per pontoon element. Contact us to learn more, this website will be updated soon with more information and prictures about the MK2. GXS Rapid Deployable Gap Crossing Systems can be tailored to many requirements and can be customized for the vehicle that you are using. Being a 4×4 or heavy armoured vehicle, GXS can cross the gap. The standard GXS system is constructed from extremely rugged pontoon elements measuring 325x50x250 centimeters (WxHxL). Each pontoon element has 5 internal chambers and 1 air-valve. The standard configuration can easily carry a 4x4 plus trailer. The various bridging systems can be supplied with various fit-for-purpose top layers. The GXS LIGHT version is fitted with rollable light weight mats or trackways. It’s very fast and flexible. The GXS HEAVY DUTY makes use of connectable ground plates each measuring 1 x 2 meters. The plates can be mancarried. The GXS EXTREME DUTY uses connectable ground plates each measuring 2 x 4 meters. This version needs equipment for transport and construction. The pontoon elements define the load carrying capacity. The largest elements measure 10 meters (width) by 1 meter (height) and can carry loads up to 28,8 tons.